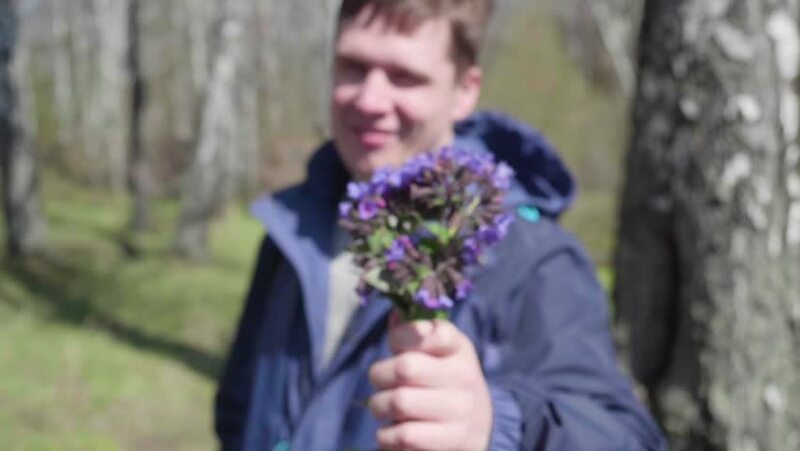 Happy young man gives the girl a bouquet of wild flowers. Spring Park, romantic date. 4k00:13Close up face of man in lilac in 4k. hd00:07Girl smelling the lilac flowers in the garden.